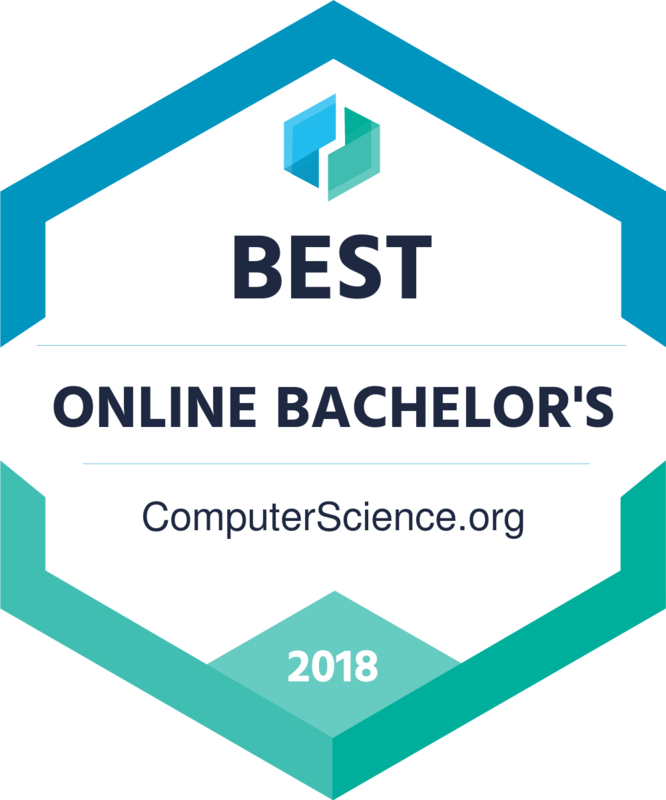 Why Choose a Bachelor's in Computer Science? Around the world, employers need engineers to develop a variety of computer applications. Demand for computer science professionals grows as companies and agencies increasingly rely on computer technology. Computer science is a broad field, and undergraduates in computer science programs study a variety of languages, programs, and applications. Learners develop a diverse skill set to prepare for a variety of careers. Demand for computer science graduates is high; there are many more available positions in the field than there are qualified workers to fill them. The Bureau of Labor Statistics projected a 24% increase in jobs for software engineers and developers between 2016 and 2026, meaning job opportunities for computer science graduates are likely to expand. The Bureau of Labor Statistics projected a 24% increase in jobs for software engineers and developers between 2016 and 2026, meaning job opportunities for computer science graduates are likely to expand. To ensure fairness and accuracy, our rankings use a strict methodology that considers a variety of success indicators. We evaluate each school in terms of the following factors and then average its ranking in each category to determine overall standing. All programs below are accredited and enroll at least 300 students. To ensure fairness and accuracy, our rankings are informed by a strict methodology that accounts for a range of success indicators. The schools are evaluated in terms of each of the following factors, and then their category ranks averaged to determine overall standing. All programs had to be fully accredited and have a minimum of 300 students. NOTE: All factors rated evenly; meaning that the overall ranking is based on the mean of these five indicators. U.S. News and World Report ranked programs at Park University among the nation’s best online bachelor’s degrees in 2014. U.S. News and World Report ranked WKU second in the nation for best online bachelor’s programs in 2015. As the nation’s first competency-based online university, WGU has received the 21st Century Award for Best Practices in Distance Learning for the past five years in a row. In 2014, U.S. News and World Report recognized Mercy among the nation’s best for its online bachelor’s programs, among other college-wide distinctions. Charleston Southern University was recently ranked among the best in the nation for its online bachelor’s degree programs, according to U.S. News and World Report. Computer science department often receives visits from NSA, CIA and FBI representatives to speak with students. Several summer internship programs are available for midshipmen to spend time onsite at national security agencies. The CS department offers seven labs equipped with PCs and UNIX servers for faculty research and student coursework. The program offers research labs dedicated to special topics, including robotics, architecture, modeling, simulation and graphics and Midshipmen lab. The CS program is accredited by the Computing Accreditation Commission of ABET. CS majors can participate in clubs and activities like the Special Interest Group on Security, Audit and Control (SIGSAC) and the Cadet Competitive Cyber Team (C3). Female cadets and faculty can join EECS Systems for lunchtime fellowship and conferences. Cadets can participate in student-sponsored events and activities from The National Society of Black Engineers, Association for Computing Machinery, Institute of Electrical and Electronics Engineers student chapter (IEEE), UPE Computer Science Honor Society and the Monthly Programming Contest. The program offers workshops and summer opportunities for cadets in operational settings. Class sizes are small, averaging 12 to 18 cadets, and all are taught by fully qualified faculty members without teaching assistants. The CS department is home to the Academy Center for Cyberspace Research in cyber warfare, information assurance, unmanned aerial systems and cyberspace education. Cadets are regularly selected for career training and assignments of increasing responsibility. The program offers small class sizes with about 1,400 cadets taught each year. The BS in computer science is accredited by the Computing Sciences Accreditation Commission of the Computer Sciences Accreditation Board. The computer science curriculum is continually updated by faculty research, and the CS honors program allows students to work closely with faculty on a thesis project. Students receive opportunities to engage in research through independent study or programs such as the Undergraduate Research Opportunity Program (UROP) and Summer Undergraduate Research in Engineering (SURE). The CS department offers computing conferences and networking events with corporate recruiters. Students can participate in programming contests and hackathons like MHacks, U-M Mobile App Challenge and Computing for the Greater Good. Available student membership in computing organizations include CSE Scholars, Michigan Hackers, HKN (Eta Kappa Nu Honor Society), gEECS (Girls in Electrical Engineering and Computer Science) and WolverineSoft (video game development group). Students can build systems within student teams to compete in national and international contests and work for social good: Michigan Autonomous Aerial Vehicle, UM:Autonomy, U-M Solar Car, Michigan Hybrid Racing, Mars Rover, U-M Programming Team, BLUELab, E-MAGINE and M-HEAL. Students can get assistance with internship placement through the Engineering Career Resource Center . Student entrepreneurial ventures are supported through centers and programs such as The Center for Entrepreneurship (CFE), TechArb and MPowered Entrepreneurship. The CS department offers a combined BS/MS program that gives students the opportunity to graduate with both degrees in five years. The program offers study abroad opportunities in computer science at the National University of Singapore: School of Computing and the University College London. An honors BS computer science degree program is available to students admitted to the Turing Scholars program. Students interested in becoming secondary school teachers in CS can join the college’s UTeach BS degree program. A combined BS/MS program gives students both degrees in computer science in five years. Students can attend tech talks, educational courses, competitions and social events held by Georgia Tech’s student chapter of the Association for Computing Machinery (ACM). Students can join a large variety of student computing organizations in gaming development, robotics, data, theoretical CS, programming, design, visual arts, entertainment software and Web development. The College of Computing Mentoring Program gives seniors the opportunity to mentor freshman and serve as teaching assistants. The College of Computing Career Fair is hosted every fall and spring to allow student networking with employers and companies from relevant career fields. On-campus startup programs and competitions such as Startup House and Venture Lab support student entrepreneurial projects. The Summer Undergraduate Research Institute and Symposium gives cadets the opportunity to do research and present findings under the guidance of a faculty mentor. International military academy exchange programs and internships, semester- and summer-abroad programs, cultural exchanges and study tours. The Institute Honors program allows up to 12 high achieving students to attend honors courses, special forums on current events and receive an increased opportunity for recognition by national awards like the Rhodes, Marshall and Gates scholarships. The Community Outreach and Renewal Experience offers opportunities to learn about service at the local, national and international levels through participation in community projects. An accelerated BS/MS degree program is available for students interested in receiving both degrees in five years. The Undergraduate Computer Science Honors Program provides gifted students with the opportunity to do research with faculty, take advanced courses and participate in meetings and events with other honor students. Several endowed and cash scholarships are available through the CS department. The Cooperative Education Program helps students pay for education by alternating semesters of study and work. The Computer Science Department hires students as graders and teaching assistants. The CS department attracts federal research support in excess of $6 million annually, with total external research funding of more than $7 million each year. Students receive mentorship and individual attention from faculty due to a small student to faculty ratio. The Computer Science Lounge, department-sponsored activities such as weekly Tea Time and the Computer Science picnic, and student-run activities like the weekly Happy Hour foster interaction outside the classroom among students and faculty. The Association for the Advancement of Sustainability in Higher Education awarded UVA a Gold rating for its sustainability efforts in 2015 ― putting it in the top 7% of participating schools in the U.S. and Canada. Curriculum teaches students to build iPhone and Android applications, BitTorrent clients, video games and operating systems. A wide selection of undergraduate merit-based scholarships are awarded to recognize academic excellence in computer science. The CS department offers a combined BS/MS degree program. Corporate recruiters can connect with students through the department’s Corporate Partners’ Program and Open House/Career Fair. Major/Minor Workshop is available for students considering or transitioning to computer science. UMD College Park received a Special Achievement Award for excellence in campus waste reduction efforts by Sierra Magazine as part of its annual Cool Schools rankings in 2015. The school was recognized among the top 25 LGBTQ-friendly colleges & universities by Campus Pride in 2015. UMD ranked No. 16 for computer science in the world by the Academic Ranking of World Universities (ARWU) in 2015. The Business Journal ranked the University of Maryland No. 8 in it’s list of the top U.S. Public Colleges in 2015. In 2015, the school was named a best value college for the fifth consecutive year by The Princeton Review. A five-year combined BS/MS or B.A./MS degree program is available. The Honors Degree Program gives undergraduate students their own faculty advisor, research opportunities, invitations to events with faculty and alumni, official honors notation on transcripts and extra units beyond the BS requirements to explore a concentration outside CS. Student-run makerspace called Supernode gives students access to tools for academic projects. The Association of Women in EECS (AWE), The Society of Women Engineers (SWE), The Big/Little Sister Mentoring Program and the Women in Science Engineering Residence Theme Program (WiSE) provides a support network for female students in CS and engineering. The EECS Colloquium hosts presentations by internationally distinguished speakers and allows faculty to present research results. The CS department hosts a large variety of research centers and computing labs where students can participate in projects. The Paul G. Allen Center for Computer Science & Engineering provides students and faculty with laboratories, collaboration spaces, meeting rooms and amenities for CS research and education. Combined BS/MS degree program requires approximately one year of courses beyond standard bachelor’s requirements. The CS department pairs new majors with veteran majors during their first quarter. The CS department hosts the Grace Hopper Celebration of Women in Computing Conference, the Women’s Seminar, the Pacific Northwest Girls Collaborative Project (PNWGCP) and the NCWIT “Sit With Me” Campaign to inspire and recognize women’s technical contributions. The Industry Affiliates Program fosters student interaction and recruitment with regional and national information technology firms. The Erik Jonsson School of Engineering and Computer Science has one of the largest internship and cooperative education programs, averaging more than 1,100 student placements annually at local high tech companies like Texas Instruments and IBM. The Fast Track Program enables gifted undergraduates to include master’s level courses in their undergraduate programs and offers automatic admittance to graduate school at UT Dallas. The CS department is located in the Telecomm Corridor, the second-largest high-tech region in the U.S.
Student membership is available in a large variety of academic and social student organizations including the Association for Computing Machinery student chapter, the Game Development Group, The National Society of Black Engineers, The Society of Hispanic Professional Engineers and The Society of Women Engineers. The Cooperative Education Program provides work experience by alternating periods of academic study and full-time employment in industry or government. Students can become members of The Association for Computing Machinery (ACM) and the Association of Women in Computing student chapters on campus. Students work with international peers in the Global Cyber Learning Factory course. Local Hack Day is a 12 hour mini-hackathon on campus for students to compete in building technology. Internship Day is open to all CS students to meet with representatives from leading high tech companies like Google, Cisco, Facebook, Sandia National Laboratories, Northrop Grumman and others. The CS department hosts research labs and centers including the Internet Research Lab, the Center for Domain-Specific Computing, the Center for Autonomous Intelligent Networked Systems, Biocybernetics Laboratory, Computational Genetics Laboratory and the Laboratory for Advanced Systems Research. Student organizations like the American Indian Science and Engineering Society (AISES), the National Society of Black Engineers, Pilipinos in Engineering (PIE), the Society of Latino Engineers and Scientists and the Society of Women Engineers support diversity in developing leadership skills in science and engineering. Five-year combined BS/MS degree program available. Students in the computer science department track are assigned a faculty advisor and qualify for graduation with honors. The Industry Affiliates Program (IAP) introduces students to an exclusive group of member companies that offer jobs and internships to the CS department. Student organizations such as Women in Computer Science, Undergraduate Student Association for Computer Science and Rutgers University Students Linux Users’ Group host student networking activities with computing professionals. The computer science undergraduate program is accredited by the Computing Accreditation Commission of ABET. New Mexico Tech’s computer science and engineering department has received certification by the National Security Agency and the Department of Homeland Security as a National Center of Academic Excellence in Information Assurance Education and Research. In addition to theoretical concepts of computing, the CS major emphasizes the legal, ethical and societal impact of developments in the field of computer science. Students in their junior year select a track to complete advanced courses to deepen understanding in a specific area of computer science. The CS department offers an honors program, computer science minor and a combined BS/MS program that allows students to pursue both degrees within five years. The Bridge Program sponsored by the Harris Corporation helps introduce students with little or no programming experience to basic computer science and programming concepts. The Computing Research Association (CRA) offers several computing research awards to undergraduates who have done excellent research. Student organizations, such as the Association for Computing Machinery – Purdue Chapter, Computer Science Women’s Network, Upsilon Pi Epsilon honor society, the Cooperative Education Program and the Undergraduate Student Board (USB), connect students, faculty and corporate partners. Dual degree programs are available, including a BS/MS in computer science, a BS in computer science with MS in Health Administration and a BS in computer science with MS in information systems. The Co-op Education Program offers students full-time, paid field-based experience between periods of returning to complete their studies as full-time students. Undergraduate research projects can be presented at the annual Georgia State Undergraduate Research Conference and students can attend a number of conferences hosted by the CS department, such as the IEEE International Conference on Granular Computing. The CS department hosts a large number of research labs including the Distributed Mobile Systems Laboratory (DiMoS) and Systems Integrated Modeling and Simulation (SIMS) Lab. The BS computer science program is ABET/CAC accredited and is intended to be sufficient for entry to a graduate program in computer science. Every student in the BS/BA program will become proficient at programming in C, C++, and Assembly Language, with opportunities to be exposed to languages such as Java, Perl and HTML. The coursework for the BS includes an embedded minor in mathematics and physical sciences. The combined BS/MS program accelerates completion of both degrees in five years. The CS department offers STEM and endowed scholarships for undergraduates. The NSA has certified Florida State to train specialists under the Committee of National Security Systems. The program offers a small hands-on undergraduate program with courses taught almost exclusively by faculty. Undergraduate curriculum is based on guidelines from the Association of Computing Machinery (ACM). Students can participate in a variety of research projects led by faculty and programs with funded research, such as the HHMI Science Education and Research program, Monroe Scholars, Murray Scholars and Sharpe Community Scholars. The Allen E. Paulson College of Engineering and Information Technology has two large computer labs open to students. The department’s Corporate Advisory Committee is consulted for revisions to academic programs, and internships and co-ops are available through the Office of Co-Operative Programs and Internships. Students can participate in various research labs, including the Game Programming, Robotics, Mobile Computing, Optical Networking and Classroom Laboratories. The computer science and engineering department (CSE) offers an honors program to encourage students to perform advanced study in their major by working closely with faculty on an undergraduate research project. There are a variety of student computing organizations, including the Computer Science and Engineering Society (CSES), Women in Computing, National Center for Supercomputing Applications (NCSA) and the Association for Computing Machinery. All CSE programs provide academic education and technical training in preparation for the high tech job market and for advanced studies in graduate school. The computer science curriculum provides education in the theory, design and application of computer systems, with an emphasis on software systems. A combined BS/MS computer science degree program is available. Students interested in a career in software engineering can obtain the software engineering certificate. The CS department offers department-endowed, campus, college, corporate-sponsored and national scholarships. CS student organizations support diverse interests and backgrounds and include the Association for Computing Machinery, Latino/a Computer Science Club, HackIllinois and Women in Computer Science. The computer science program provides students with an understanding of the theory and practice of automating the representation, storage and processing of information. The department encourages students to earn an international studies certificate along with the BS in computer science. In partnership with Istanbul Technical University, Binghamton offers a dual-diploma so students receive a BS degree from the Thomas J. Watson School of Engineering and Applied Science and a Lisans in Information Systems Engineering from Istanbul Tech. A combined BS/MS computer science degree program allows students to receive both degrees in five years. The BS in computer science is accredited by the Computing Accreditation Commission of ABET. The Distinguished Lecture Series is an annual program that attracts accomplished scientists to Stonybrook and brings together undergraduates, graduate students and faculty to discuss topics in computer science. The CS department supports innovative research that advances the future of software, hardware and computing, along with extensive lab spaces that were enhanced by a new CS building in 2014. The computer science BS program offers small classes that provide opportunities for personal interaction between students and faculty. The Honors Program offers three ways to participate in honors work: as Honors Scholars, through subject-area honors or through a senior honors capstone event that contributes to the computer science field or society at large. JMU is designated by the National Security Agency (NSA) and the Department of Homeland Security as a National Center of Academic Excellence (CAE) in Information Assurance Education. Students can create their own custom tracks with advisor approval for upper division study. The CS department is affiliated with a variety of research centers including the U of M Supercomputing Institute for Digital Simulation and Advanced Computation that provides supercomputing resources to faculty and students. The Industry Affiliates Council (IAC) promotes interaction between the Department of Computer Science and Engineering and industry to connect students with mentors, internships, recruitment opportunities and research talks. Student computing groups include the Association of Computing Machinery (ACM), Association of Computing Machinery for Women, Multicultural Students in Computing (MCSC) and the Institute of Electrical and Electronics Engineers (IEEE). The BS computer science program is accredited by the CAC Commission of ABET. Students can join computing organizations such as the Association for Computing Machinery (ACM), Institute of Electrical and Electronics Engineers (IEEE), Society for Information Management Systems and Classic Hackers UGA Linux Users’ Group (CHUGALUG). A number of research labs support student learning in computer science, including the Cortical Architecture Imaging and Discover Lab and the Data Intensive Pervasive Systems Lab. The BS computer science program is accredited by the Computing Accreditation Commission of ABET. The CS program has four objectives: technical competence, interpersonal skills, professional awareness and intellectual growth. The Interactive Entertainment concentration provides preparation for technical careers in computer graphics, digital animation, video games and interactive experiences. A combined BS/MS degree program is available for qualified students. A combined BS/MS program allows students to complete both degrees in five years. Students can choose to follow the BS in computer science track to lead towards graduate study or the software design and development track for a software engineering career. A variety of faculty-led research labs in computing topics such as the Software Testing and Research Group, Bioinformatics Research Group and High Performance Database Research Center. The Industrial Advisory Board promotes opportunities for students to network with the technology industry and government agencies. The CS curriculum is based upon recommendations by the Association for Computing Machinery and the Institute of Electrical and Electronic Engineer Computer Society. The Department of Computer Science and Engineering hosts many seminars, including the Distinguished Lecture Series, the AWICS Distinguished Lecture Series and Quantum Computing. Various labs are available for student participation in research on Human-Centered Systems, Intelligent Systems, Software, Systems and Theoretical Foundations, as well as in multidisciplinary areas such as Bioinformatics, Brain Networks, Computational Science and Engineering, Digital Humanities, Security and Emergency Informatics. The Department of EECS offers research programs for undergraduates and is a National Science Foundation (NSF) REU site in Computer Vision since its inception by the NSF in 1987. The Association for Computing Machinery student chapter, IEEE Computer Society, UPE Computer Science Honor Society and the CS Foundation Exam provide networking opportunities, face-to-face meetings with experts and real-world career experience. The CS department is in the new Harris Corp. Engineering Center, a high tech building with state-of-the-art equipment, computers and labs for students. The Computer Science Foundation Exam is the only test of it’s kind in the nation, making it an important resume builder for CS majors. In upper division studies, students are required to satisfy the requirements for one of eight specializations to obtain a broader understanding of computer science. The ICS Honors Program gives students the opportunity to network with other honors students, conduct research with faculty and work on a thesis. The Summer Undergraduate Research Internship in Computer Science gives students 8-10 weeks in the summer to work with faculty on a research project. The Donald Bren School of Information & Computer Sciences offers corporations and industry representatives a chance to connect with faculty and students by sponsoring a class project and student-run events, or by attending tech talks and information sessions. A number of centers provide research opportunities for students, including the Ada Byron Research Center, the Center for Embedded Computer Systems, the Center for Machine Learning and Intelligent Systems and the Center for Social Computing. U.S. News and World Report ranked UCI No. 11 among top public schools and No. 39 among best value schools in the nation. Times Higher Education ranked UCI No. 1 in the U.S. and No. 7 in the world among the 100 best universities less than 50 years old in 2015. UCI placed first in Sierra Magazine’s Coolest Schools report in 2015 as part of its annual sustainability ranking of U.S. colleges and universities. Money magazine ranked UCI No. 13 among the nation’s four-year colleges and universities delivering the most value. The computer science BS/BA programs are accredited by the Computing Accreditation Commission of ABET. Research groups and labs for student participation include Algorithms, Bioinformatics, Data Mining, Machine Learning, Imaging Processing, Face Recognition and Video Processing Lab, Semantic Web & Ontologies Lab and the Medical Informatics Lab. The Senior Capstone Program allows students to test their education outside the classroom, working with industry partners like Microsoft, Johnson & Johnson, NASA and the National Science Foundation. NJIT’S Career Development Services helps students with career counseling, co-ops and internships, resume and interviewing and hosts an annual career fair. Ranked No. 12 as one of the top 25 colleges where you can earn six figures before getting an advanced degree by Money magazine in 2015. Payscale.com’s 2015-16 College Salary Report found that the mid-career median salary of an NJIT graduate with a bachelor’s degree is $101,000. Students with at least a 3.5 GPA and 75 hours of undergraduate study can apply for the combined BS/MS accelerated program to enable completion of both degrees in five years. The Department of Computer Science offers a variety of endowed and company scholarships for students who have declared the CS major. The student computing groups on campus include the Association for Computing Machinery, the Association for Women in Computing, CS Squared, Mobile Application development, VT Gaming Project, CS Mentoring, IEEE and the Upsilon Pi Epsilon honor society. VT’s CS department has built its curriculum with recommendations from corporate partners who are members of the Computer Science Resources Consortium (CSRC) created by the CS department in 1982. Students can participate in various research labs, including the Robots and Multi-agent Systems, Network Management, Multimedia Instruction and Neural Networks Applications. The Center for Innovation in Science Education (CISE) develops and promotes STEM disciplines with membership available to CNU students who are working with scholars. CNU offers free tutoring to CS students. A five-year BS/MS degree program is offered through the Dietrich School of Arts and Sciences. CS undergraduates are offered cooperative education or internships at high tech companies through Pitt Career Services and the Co-Op Program. The Computer Science Resource Center provides tutoring to help students in CS programming courses. Various research centers and programs are available such as the Center for Parallel, Distributed and Intelligent Systems, the Pittsburgh Supercomputing Center and the Scientific Computing Program. The Department of Computer Science has five student organizations including Women in Computer Science, Computer Science Club, Students for Startups, Robotics Club, and the Upislon Pi Epsilon honor society. The Industry Board is a collaboration with the computer science department and industry leaders to ensure that courses align with the latest business needs. Opportunities for undergraduate research include the National Science Foundation Research Experience for Undergraduates (REU), the Undergraduate Research Opportunities Program (UROP) and the Council on Undergraduate Research. The Honors Program allows students to complete a research project that complements work in their major and develop a co-curricular project that connects coursework with an internship, national student exchange or study abroad program. CS student organizations include the Undergraduate Projects Lab, the student chapter of the Association for Computing Machinery, ACM’s Women in Computing student chapter and The Hub (CS club). Award and scholarship opportunities are available for undergraduates, including the U.S. Dept. of Homeland Security Scholarships, the Simons Fellowship in Computational Neuroscience and Barry M. Goldwater Scholarships. A number of computing research groups covering topics such as artificial intelligence, computational biology, computer architecture, computer graphics, computer networks, computer security, database systems, human-computer interaction and others. The Industrial Affiliates Program fosters relationships between the computer science department and business partners while connecting students with internships and career opportunities through programs such as the Madison Area Computer Science Job Fair. The CS department hosts computing contests like the ACM International Collegiate Programming Contest and MindSumo. The technically oriented CS program provides students with skills towards employment in maintaining computers systems and networks as a technician or technologist. The program also prepares students for professional certification exams such as the CompTIA A+, Network+, Microsoft Certified System Administrator, Microsoft Certified System Engineer, and Cisco Certified Network Associate. The CS program is accredited by the Engineering Technology Accreditation Commission of ABET. The Computer Science Department’s program is accredited by the Computing Accreditation Commission of ABET. Students receive access to SUN workstations, PCs and a distributed computing cluster running Unix, NT, Windows and Linux within the CS department. Learning laboratories available from the department and the university in addition to research labs such as the McDonnell Douglas Software Engineering Laboratory studying topics that include applied computational intelligence, computer vision and biomedical imaging, critical infrastructure protection and social computing. Five-year BS/MS or BA/MS degree program in computer science is available to students with at least five completed semesters at Temple. Undergraduate research in CS can be done as independent study, independent research or directed reading/study course. The Independent Research in Computer Science course can be substituted for the CS senior capstone project. The CS department has five student computing laboratories on two floors with up-to-date technology in the Science Education and Research Center (SERC). Clemson’s School of Computing offers a combined bachelor’s/master’s education plan, allowing students to count up to nine hours of graduate credit toward both degrees. The Cooperative Education Program provides students with a chance to gain work experience with employers in their field while being monitored by the program’s academic staff. Seminars and research labs cover diverse topics in computing, including big data, algorithms and computing, multimedia and informatics, software engineering and virtual environments. Each spring 6-10 seniors are designated as an Outstanding Student in Computer Science or Computer Engineering based on a high GPA or service to the department. The Gamma Chapter of Upsilon Pi Epsilon (the only honor society for computing), was chartered at UMBC in 1991. 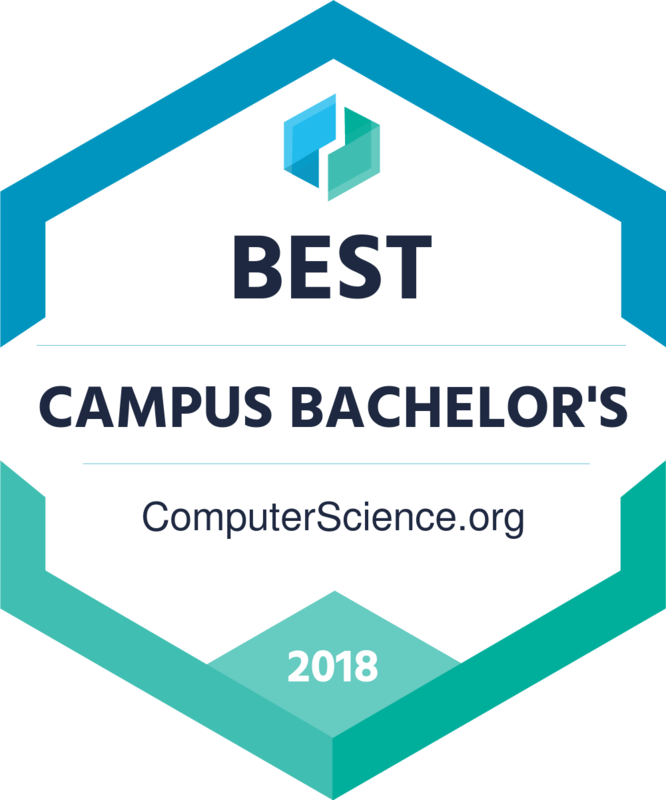 Computer science majors that receive an A in both Computer Science I and II are eligible for the CS honors program. Students receive a well-rounded education in computer science through extracurricular student organizations such as the Association for Computing Machinery, IEEE, National Society of Black Engineers and UMBC Society of Women Engineers. Research laboratories with subjects such as cybersecurity, robotics, embedded systems and animation and graphics. The BS computer science degree program is based on the curriculum recommendations of the Association for Computing Machinery and the Computer Society of IEEE. Several opportunities are offered to pursue computer science outside the classroom with student organizations like the Association for Computing Machinery, the Computer Gaming Association, the Free Software Club of Kirksville and the Tru Women in Computer Science (TWiCS). Each student is required to complete a Capstone experience for presentation to the computer science faculty that demonstrates the ability to work independently on a software development project. Departmental honors in computer science can be earned by receiving a high GPA or score on the senior exam, producing a scholarly paper or by approval from the computer science faculty. Ranked No. 19 on Kiplinger’s list of the 100 Best Public College Values in the nation in 2015. The combined BS/MS program allows qualified students to receive both degrees in five years. The program offers a large selection of research laboratories in algorithms, artificial intelligence, bioinformatics, computer architecture, graphics, networks, computer vision, distributed systems, human-computer interaction and robotics. USF ranked No. 51 among best colleges for veterans by U.S. News and World Report in 2015. In 2015, U.S. News and World Report also ranked the school overall among the top 100 best public colleges in the nation. Depending on how much time learners dedicate to school each week, most students complete computer science programs in 3-5 years. The field of computer science lends itself to online learning; computer science and information technology are two of the most popular disciplines for distance learners. Some schools without a computer science major offer foundational classes in the field through their math or engineering departments. Among schools that do have computer science programs, there is no standard curriculum or even degree title. All of the following programs prepare students for careers in computer science and engineering. While some computer engineers are self-taught, the industry is increasingly populated by formally trained CS students. Computer science majors are often familiar with variety of programs and languages, and employers value how quickly graduates adapt to new work. In recent years, computer science has become a popular major. Many schools are struggling to acquire enough resources to keep pace with the number of students interested in computer science, and some programs are forced to limit departmental admissions. Fortunately, online programs do not have the same restrictions. In response to student interest in the major, colleges across the country are adding online computer science degrees to their catalogs. Students have more opportunities to study computer science than ever before, and classes continue to become more affordable. Online programs allow students to work at their own pace. Most distance programs allow students to enroll in as many or as few courses as they can handle, and learners typically watch lectures and complete assignments at their convenience. Unrestricted by geography, online students can choose the program that best aligns with their interests, budget, and timeframe. Some programs take less than two years to complete. Massive open online courses, available through platforms such as Coursera, help students enhance their computer science skills affordably. Prestigious universities, such as MIT, often provide these courses free of charge, though students can opt to pay a small fee to receive a certificate of completion at the end of the course. While these courses do not carry the same weight as a computer science degree, they introduce students to the field and help them determine whether an online computer science program is right for them. While specific course titles vary according to program emphasis and school conventions, all reputable online BS in computer science programs provide a solid foundation in the basics of the discipline. Below are five courses most undergraduate computer science students complete. This course covers the design, analysis, and implementation of basic user-defined abstract data types including stacks, linked lists, arrays, trees, and priority queues. Topics include searching and sorting, hash tables, runtime analysis, and graphs. Students also complete lab exercises and programming projects using object-oriented programming techniques. This course provides an introduction to principles, processes, methods, and problems related to designing and developing large-scale reliable software systems. Students complete a full-term, team software project, including basic project planning and estimation. Topics include requirements analysis and specification, software life cycles, testing, debugging, and model-based software development. This course covers computer algorithm design and analysis, including data structures used in algorithmic problem-solving. Coursework emphasizes the relationships between programming and algorithms, and students examine algorithms for pattern matching, searching, sorting, and graph computations. Topics include basic performance measures, dynamic programming, mathematical modeling, and algorithmic paradigms. This course introduces learners to fundamental concepts in computer architecture and system performance and emphasizes principles of uniprocessor design. Students examine the factors involved in efficient system performance and explore interactions of software and hardware. Topics include processor design, performance calculation, caches and memory hierarchy, and instruction set architecture. This course surveys the fundamental principles and concepts of operating systems, including design, organization, and implementation. Students complete a programming project, during which they design and implement portions of a small-scale operating system, including virtual memory management. Topics include resource and process management, file systems, and relationships between computer architecture and operating systems. Students may choose to augment core CS classes with a concentration in a particular subfield. Not all schools offer concentration options, but those that do provide students with the opportunity to tailor the curriculum to suit their career aspirations. Many schools offer degree concentrations with customizable course requirements. Computer science students should choose a concentration based on their academic and professional goals. This concentration helps learners use their understanding of database design, SQL, XML, and JDBC to create and implement databases capable of parallel data processing and computing. Students use machine learning to build data-mining systems and algorithms that scrape the web for previously uncaptured data. Students prepare to optimize user interfaces by building seamless technologies, such as GPS systems and anti-lock brakes, which make users’ lives easier. Students analyze 2-D, 3-D, and 4-D data to create programs that can recognize objects and images and can recreate realistic animations and games. Learners devise ways to improve the functionality of high-level components such as memories, registers, and wired and wireless communication components. Learners in this concentration create technologies that meet the information needs of communities without wireless infrastructures. Students design and implement applications that solve problems and grow and adapt to the changing needs of users. Students gain the tools they need to model genomic sequencing and neurological stimulation patterns. Learners prepare to develop complex machines that can interpret data, appropriately interact with environments, and make real-time decisions based on information gathered. Students in this concentration build systems that protect and store sensitive data from hardware failure and security breaches. Learners prepare to create the platforms and systems on which software applications can run efficiently. In keeping with the global shift toward remote work and digital employment, career paths for graduates with an online bachelor’s in computer science include many innovative options. Graduates often pursue employment in high-demand areas such as data science, machine learning, and application and software development. Research-focused jobs in scientific industries often attract students who are interested in applied mathematics. The section below features five popular career paths for graduates with an online computer science degree. These professionals design and develop software to meet client specifications. They typically specialize in either applications or systems development, and they work with teams to oversee software projects throughout the development life cycle. Responsibilities typically include writing and debugging code, documenting and testing software, and consulting with clients regarding design and maintenance requirements. Computer hardware engineers design, develop, and troubleshoot components of computer systems, such as motherboards, processors, peripherals, and memory. They conduct research and tests, analyze the results, and modify hardware accordingly. These professionals design blueprints of equipment, perform updates to coordinate hardware and software requirements, and supervise hardware manufacturing processes. Computer systems analysts conduct extensive evaluations of information systems. They study organizations’ computer systems and design customized solutions to improve efficiency. Their responsibilities include preparing cost analysis reports, conducting research on appropriate technologies, and providing support for implementation and training procedures. Network and computer systems administration professionals oversee the daily operations of networked computers, including local area and wide area networks. They monitor system access logs and coordinate general network functionality. These administrators monitor network traffic and data storage, install security measures such as firewalls, and troubleshoot technical problems. Database administrators handle the storage, organization, and protection of sensitive data such as customer records and financial transaction information. They monitor database software to ensure error-free, efficient operation. Their duties include ensuring timely availability of data to authorized users, developing appropriate security measures to secure data, and implementing database expansions. Computer science ranks among the best majors for salary potential. The University of Illinois at Urbana-Champaign reports a positive trend in full-time enrollment for computer science graduates from 2014-2017. Graduates with an online computer science degree have excellent salary prospects, particularly experienced professionals in specialization areas such as machine learning or software engineering. Graduates with skills in high-demand areas such as data science may also earn higher salaries. The following table features PayScale data on average salaries for five professions in the field. After earning a bachelor’s degree, many students pursue master’s degrees in the field to qualify for advanced positions. Many high-level careers in technology research and design require a master’s degree. The U.S Bureau of Labor Statistics projects employment for master’s-level computer and information research scientists to increase 19% through 2026. According to PayScale data, graduates with a master’s degree in computer science earn higher average salaries than bachelor’s degree holders. Master of Computer Science: At the master’s level, computer science students gain expertise in areas such as software engineering, parallel programming, scientific computing, and machine learning. Master of Computer Science in Data Science: Data science students learn to employ computational and statistical methods to locate significant information in massive stores of data. Coursework includes data visualization, machine learning, data mining, and cloud computing. Master of Science in Bioinformatics: Master’s students in bioinformatics complete interdisciplinary coursework and learn to analyze complex biological data using computational methods. Learners explore statistical modeling, theoretical science in biotechnology, and applied computer science topics such as algorithms. Accreditation is a crucial indicator of a program’s quality. Regardless of degree level or area of study, all students should confirm their prospective school’s accreditation status before enrolling. For students in specialized areas such as computer science, programmatic accreditation is often as important as institutional accreditation. More than 85% of the nation’s degree-granting institutions are regionally accredited. The U.S. Department of Education (ED) does not directly accredit schools. Instead, the government enforces universal standards for accrediting bodies. Students should ensure a school’s accrediting body or bodies are recognized by the ED or the Council for Higher Education Accreditation. U.S. colleges and universities can receive two types of institutional accreditation: national or regional. While national accreditation is common for vocational and technical schools, regional accreditation is more highly regarded. More than 85% of the nation’s degree-granting institutions are regionally accredited. Regional accreditation is the most widely recognized accreditation status in the country and ensures that other regionally accredited schools will accept credits and degrees earned through the institution. Additionally, attending a regionally accredited school qualifies learners for federal financial aid and corporate tuition reimbursement plans. Employers, graduate schools, and professional organizations may not recognize computer science degrees earned from unaccredited schools, and unaccredited schools may not deliver the quality education graduates need to compete for positions in the field. Students can confirm the accreditation status of any postsecondary school in the country using the ED’s searchable database. For students in technical fields, programmatic accreditation is often as important as institutional accreditation. For example, learners pursuing a BA in computer science should focus on choosing a regionally accredited school, while students earning a bachelor’s of engineering with a concentration in computer science should look for programmatic accreditation. More than 3,400 programs at 700 colleges and universities have received ABET accreditation since 1932. The organization provides a search tool to help students find ABET-approved programs. Unaccredited or falsely accredited schools that attract students with low-effort, high-cost programs are considered diploma mills. They sell degrees, not education. Students can protect themselves by confirming a school’s accreditation status before applying. Students need to demonstrate success in prerequisite courses to earn acceptance into the major. Computer science curricula are often tiered; learners need to take prerequisites early to have time to complete high-level major coursework. General admission requirements vary by school. Most schools have the same requirements for both incoming freshmen and transfer students. Students who take classes online or locally before applying to another school should ensure the coursework is accredited so other institutions will recognize the credits. Direct admission allows applicants to enter the CS department immediately upon admission to the school; most large departments admit a few freshmen or transfer applicants directly into the major each year. Students admitted directly have access to upper-division courses, labs, facilities, research assistantships, and internships normally reserved for upperclassmen. Direct admission criteria is typically rigorous. Students should submit applications that reflect the following. Professional organizations provide benefits for students and recent graduates, including concentrated and well-organized information about computer science fields and career development. Joining professional organizations demonstrates a commitment to learning, keeps individuals up to date regarding industry trends, and offers access to special events and networking opportunities with peers and experts. Many organizations also provide members-only job boards, scholarships, discounts on conference admission fees, and discounted subscriptions to professional journals. Association for Computing Machinery The largest global scientific and educational computing organization, ACM promotes advancement of computing as a profession. ACM is a leading source for career development resources, conference information, and industry publications. Institute of Electrical and Electronic Engineers Computer Society The IEEE Computer Society serves a global community of leaders in technology. This well-known organization publishes scholarly journals, maintains a digital library, sponsors worldwide educational conferences for industry professionals, and awards scholarships. CompTIA Association for Information Technology Professionals As an advocacy organization for the technology industry, CompTIA AITP serves professionals aiming to launch, build, and advance careers in technology. CompTIA AITP provides educational resources, networking opportunities, and industry insights. Association for Women in Computing Founded in 1978, AWC promotes women’s advancement in computing disciplines and professions. AWC offers networking opportunities, educational presentations, and mentorship programs. The organization also awards scholarships to women in technology. Upsilon Pi Upsilon UPE is an international honor society for the information and computing disciplines. With chapters at colleges in the U.S. and abroad, UPE promotes standards of excellence in computer science and awards members-only scholarships. Like any degree, a bachelor of computer science has a significant financial cost. Students attending local colleges may pay annual tuition rates as low as $5,000. However, learners at out-of-state or larger schools often pay more than $35,000 per year in tuition. The average total cost for an online bachelor’s degree in computer science is about $50,000. Fortunately, computer science is a growing field, and scholarships are common. Large companies such as Google, Microsoft, and Intel offer scholarships for computer science students. Governmental departments that focus on technology also offer scholarships. Some scholarship programs are competitions, and other awards are based on previous accomplishments. In addition to scholarships, students can apply for financial aid, such as government grants and loans, which often have reduced interest rates. According to a 2012 report from NCES, more than 65% of undergraduates receive financial aid. Many online computer science master’s programs offer flexible scheduling options. Many schools are introducing innovative online platforms that provide high-quality and convenient educational experiences for full- and part-time students. Who Can Apply: The Foundation for IT Education offers educational awards to U.S. citizens who have completed at least one semester of college. Applicants must have a minimum 3.0 GPA and be studying computer science, management information systems, or information technology full time. Who Can Apply: The Wayne V. Black scholarship supports full-time undergraduate students in the U.S. or Canada who are studying one of several disciplines, including computer science and telecommunications/information technology. The foundation evaluates applicants based on their biography, GPA, essay, and references. Who Can Apply: In partnership with Applied Computer Security Associates, the Computing Research Association awards scholarships to women studying information security. Applicants must be in their third or fourth undergraduate year at a U.S. university and must submit an essay, transcripts, resume, and letters of reference. Who Can Apply: Western Digital offers up to 500 awards to full-time undergraduate students from traditionally underrepresented populations who are studying computer science, mathematics, or engineering. Applicants must have a minimum 3.0 GPA, prove a history of leadership in community or extracurricular activities, and demonstrate financial need. Who Can Apply: In partnership with the IEEE Computer Society, UPE awards up to four scholarships each year to full-time graduate and undergraduate students in computing disciplines. Selection criteria include a minimum 3.0 GPA, letters of recommendation, and extracurricular activities in computing. Who Can Apply: This program awards scholarships to female-identifying students who are enrolled full time in an undergraduate or graduate program in computer science or a closely related technical discipline. Applicants must demonstrate leadership and have a strong academic record.